Lexie Scott is a senior at St. Francis Catholic High School in Gainesville, Florida. For years, she has defied the odds by making her way in a male-dominated sport, football. 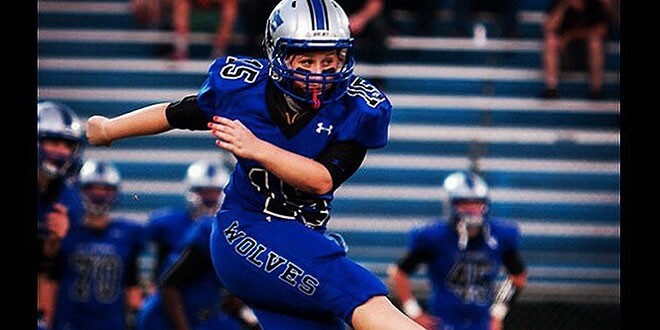 Now, she’s a kicker on the Wolve’s Varsity team. High School Illustrated talked with Lexie to see just how she got to where she is today. How does it feel for you to be a role model? It’s surreal. You grow up being inspired by others and never expect to be someone else’s inspiration. My decision to play football was purely based on enjoying the game I love, but it soon turned into something more. I realized that people thought me playing football was a big deal. To me, it was just something I did. I thought nothing of it. To have young girls calling me and telling me that they had always wanted to play but never thought they would actually be allowed, and that when they heard my story they decided not to take “no” for an answer…that to me is what this is all about. Has being a girl ever held you back in the things you’ve wanted to do? Have people discouraged you simply because you’re a girl? Not that I can think of, but maybe that’s just because of the type of person I am. I don’t like taking no for an answer. My mom likes to relate my tenacity to that of a pitbull. The reality is that if people want to discourage me simply because I’m a girl, then that’s their problem, not mine. The only thing that can keep you from success is yourself – that is what I have learned and what has really resonated with me throughout this whole journey. I don’t let other people hold me back, so I think that’s why, if people ever did try to discourage me, I probably didn’t even notice. I have learned to not let other people’s insecurities become my own. What’s your outlook on life? What inspires you? What are your goals? I’d love to say I want to be the first female president and some other stereotype that would go along perfectly with playing a male-dominated sport, but really I just want to experience the world and help other people. I am passionate about environmental science and sustainability. I see myself, after college graduation, in some far away country, teaching native people fishing techniques that will enable them to feed their families, but also maintain the biodiversity of their ecosystem. My inspiration came last year when I took AP Environmental Science and fell in love with every aspect of it. I love how it involves everything from culture and economics to history and physics to biology and psychology. My goals are to use education to develop a respect for the environment in younger generations and to teach people how their individual efforts toward sustainability can have exponential effects on our planet’s viability. How has football specifically built your character? Do you think you would be any different if you ended up in soccer, playing with all girls? Trust me. If there’s one thing I’ve learned over the past four years, it’s that boys are just as dramatic as girls! But really, I think football has taught me a lot about commitment and perseverance. Football is standing out in the 108˚ Florida summer afternoon heat, being told you didn’t run that last 100 yard sprint fast enough so you better do it again right. Football is running slower than all of the guys and being an entire lap behind and having one of your brothers run back out after they’re done to finish the lap with you. Football is hating your life for three hours a day with 20 other exhausted, sweaty, and smelly boys for 4-6 months of the year. What makes football different than any other sport is those Friday Night Lights. Anyone who’s played football knows exactly what I’m talking about. It’s that feeling you get in the pit of your stomach on Thursdays when you know tomorrow is Game Day. It’s knowing all your friends will be in the stands. Friday Night Lights is all of your pre-game rituals, your handshakes, and your ankle tapes, and your eyeblack. 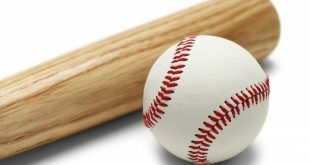 It’s your first steps onto that field, when the newly painted lines rub off just a little on your cleats and the fresh cut grass sticks all over you during pre-game stretching. It’s kneeling and praying with your brothers and coaches and watching the sun set during the coin toss. Friday Night Lights are real, and I think they’re the best part of football, because they’re what make all the running worth it. I think I’d be totally different if I had ended up playing girls soccer. Football was my life for four straight years. I can’t even imagine my high school experience without it. Football has made me who I am. 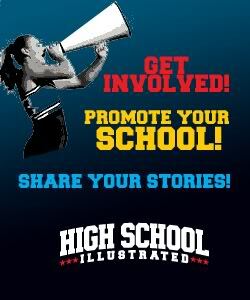 To read the rest of this article for free, check out the latest issue of High School Illustrated – USA National Edition for iPad, iPhone, Android tablets, and Android phones. Completely free on the App Store and Google Play Store.